Ohio's official lethal injection cocktail came under fire after a grisly execution in January. The grisly execution of convicted murderer Dennis McGuire earlier this year raised controversy over the lethal injection cocktail used to put him to death. That concoction—composed of the sedative midazolam and the painkiller hydromorphone—had never before been used for capital punishment. Now, the maker of those drugs says it objects to their use for killing inmates. Despite its opposition, Hospira also says there’s only so much it can do, given what it calls “the complex supply chain and the gray market” of US drug distribution. It says it can’t guarantee a US prison could not obtain restricted products outside of the normal distribution process. This isn’t the first time Hospira has been mired in a death penalty controversy. In 2011, global protests prompted the company to stop manufacturing the drug sodium thiopental because of its use in US executions. 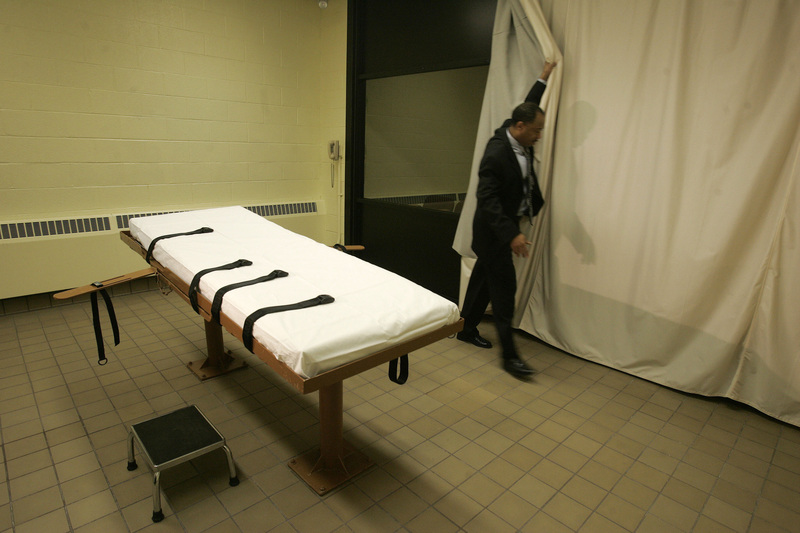 Ohio law mandates the use of midazolam and hydromorphone for executions. It switched over to the cocktail after European manufacturers barred sales of the drug pentobarbital to US prison systems. During Ohio’s first trial with the Hospira-made cocktail, McGuire repeatedly gasped for air, choked and made loud snorting sounds throughout the twenty-five-minute procedure, the longest in the state since it resumed executions in 1999. McGuire’s family filed a lawsuit against the state, saying the manner in which he died amounts to cruel and unusual punishment. Outrage and national attention over McGuire’s gruesome death has spurred state officials to postpone upcoming executions using the same drugs. Earlier this month, a Louisiana judge delayed the execution of Christopher Sepulvado, convicted for murdering his 6-year-old stepson. And in Ohio, Governor John Kasich granted a reprieve for convicted killer Gregory Lott, as officials finish up an examination of McGuire’s death. There are five more executions scheduled in Ohio this year.